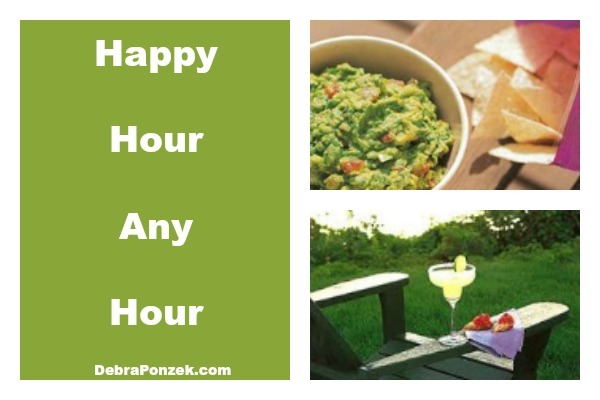 There are two staples at almost every happy hour you can find. The first being the drinks, usually margaritas of all different types. 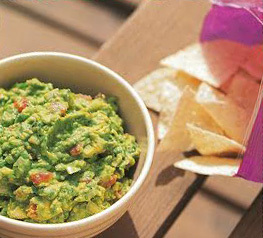 The second is guacamole because nothing goes better with a margarita than chips and dip. The best part is, these happy hour recipes are pretty easy to make yourself. Giving you the chance to have happy hour whenever you want and in the comfort of your own home. Making these happy hour recipes will guarantee a happy party, afternoon or evening. Add the tequila, Cointreau syrup, and lime juice. 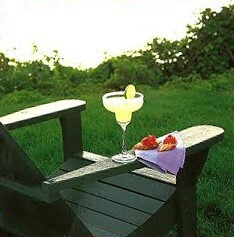 Serve in chilled martini glasses, with or without salted rims and garnish with lime wedges. With the tip of a knife, score the avocado flesh and scoop it into a medium bowl. Mash with a fork or potato masher until fairly smooth. Stir in the remaining ingredients, mixing well but gently, and serve immediately.